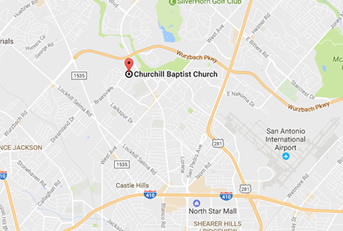 Larkspur Christian Fellowship is an outreach ministry that brings the gospel to an at-risk neighborhood about 1 mile from Churchill Baptist Church. LCF is located at 2042 Anchor, San Antonio, Texas 78213. Jose Gonzalez is the Larkspur Pastor. Click HERE to learn more! We support Larkspur Christian Fellowship, a Hispanic church plant, and their pastor. We also serve seniors at a nearby assisted living facility and the homeless at a ministry near downtown. We contribute to several other mission outreach projects in the area. We sponsor two mission projects on the Navajo Reservation in northeastern Arizona: Water Fall Bible Church, a Native American congregation, and Immanuel Mission, which runs a self-supporting Christian school for grades K through 12 and a chapel for area residents. Our church supports mission workers in northern Mexico, Sri Lanka, Albania and southern Asia.